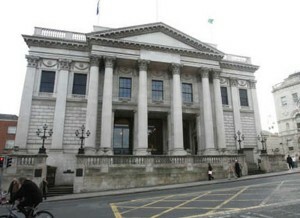 On Monday (7 September), Dublin City Council will vote on a motion calling for the repeal of the pro-life 8th amendment to the Irish Constitution, which recognises the right to life of the unborn child. The motion is proposed by Anti-Austerity Alliance Councillor Michael O’Brien. Last September, Cork City Council by a narrow margin, passed a motion to support a referendum to repeal the 8th amendment. The Life Institute is appealing to people from Dublin to canvass their local councillors to oppose the motion. “If you live in Dublin, or you have friends or family who do, please take a moment to contact your city councillor to tell them to vote against a motion to repeal the 8th amendment,” says the Life Institute in a release circulated this week. Working in direct opposition to their campaign, the Abortion Rights Campaign is also waging a strong initiative urging the public to “write/email/ring/text” local Councillors urging them to support the motion for a referendum to repeal the 8th. On their website they provide a sample letter which may be sent to local Councillors. ARC is also gearing up for its 3rd annual March for Choice on 27 September in Dublin, marking International Decriminalisation of Abortion Day. “You’re invited to come Speak With Your Feet that we need free, safe, legal abortion in Ireland now,” say the group’s literature. 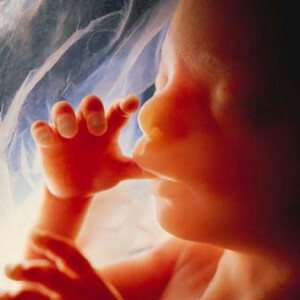 Encouraging the public to keep the 8th amendment, the Life Institute points out that the amendment seeks to protect the right to life of “both mother and baby”. Noting that in the UK, the 1967 Act introducing abortion was meant to be restrictive, with two doctors signing off on abortions only in certain circumstances, the group says it has lead to “carnage”. Some 200,000 abortions are carried out every year, that is equivalent to more than one in every five babies in Britain being aborted. In 2013, there was a 37% repeat abortion rate. Also that year, a British Parliamentary inquiry (the Bruce Inquiry), found that 90% of Down’s Syndrome babies were being aborted. “In contrast, Ireland’s abortion rate has fallen 45% in 11 years (from 6,700 women travelling in 2001 to 3,735 in 2014 )” says its website. Many Dublin City Councillors come from parties of the Left or Sinn Féin who have already announced their intention to make the repeal of the 8th amendment part of their manifesto in the next general election. Patrick Costello, Green, [email protected] 087 9431494; Mary Freehill Lab, [email protected] 086 8126378; Ruairi McGinley NP, [email protected] 086 8301111; Jim O’Callaghan FF, [email protected] 01 475 89 43; Kate O’Connell FG [email protected] 083 1653401; Dr Paddy Smyth FG [email protected] 086 0676598.